There has been a bit of a drought in hip-hop publications coming through to the Africanhiphop.com office recently but all that was changed after we received two packages from South Africa containing really good magazines. Bollywood in Nigeria, Senegalese wrestling, hip-hop as a social movement, vegetarianism and hiv/aids were brought together in the appealingly packaged AFRO- and Levitation mags. In December 2003, the Africanhiphop crew spent some days in Dar es Salaam, Tanzania, emerged in sunshine (35 degrees in the shade) and lots of local hip hop - Seba, a radio dj explained that nowadays he receives four cd promos per day from local rappers (the photo to the right displays part of his recent catch), so there's always plenty of new tracks to choose from. Radio and tv are blasting local rap continuously! And the East African integration becomes reality ever more, with stations like East Africa TV/Radio playing in Kampala, Nairobi and Dar es Salaam which boosts the regional popularity of artists like TID or Mr Nice. Among other things, we were in Tanzania for the launch of a new single and music video by X Plastaz, a crew consisting of six vocalists from Arusha. 'Msimu kwa msimu' is a track which sounds quite different from anything else out of the exploding East African market, with its uptempo vocals, Indian melody line, female power lyrics by Dineh and Maasai chants in the outro. The track was produced by Kid Sundance (known a.o. for his releases with Declaime AKA Dudley Perkins) and the video was done by a crew from the Film Academy. The video's apparent 'bling-bling' atmosphere with limousines, Crystal champagne and beautiful women is in fact a tongue-in-cheek comment on the state of hip hop: when is the bubble going to burst, and will hip hop come back to its true essence? 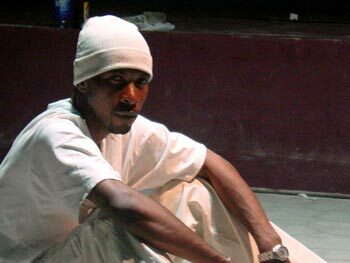 Its title 'Msimu kwa msimu' ('season to season') refers to the ups and downs in the lives of hip hop artists. The track will first become commercially available in early February on the compilation 'Rough Guide to African Rap' which is distributed worldwide. Meanwhile its video can be seen on local stations East Africa TV, ITV-1 and in the rest of Africa on digital station <a href="http://www.channelo.co.za" target=_blank>Channel O, but you may also watch it here at Africanhiphop.com! Watch the music video online from start to end! While the international music industry is clueless on how to stop people from downloading music and major labels push for action to be taken against piracy and home copying, there is at least one genre where sales and releases aren't in a downward spiral. African rap albums are coming out by the dozens now, not just locally but increasingly on the international market. And as you can tell from our mostly positive reviews of this month, much of what's coming out is strong work that can compete with hip hop albums from other countries. Wading through the post at our doorstep we ended up reviewing albums by Lord Ekomy Ndong (Gabon), Plain Madnizz (South Africa), Ty (UK/Nigeria), Jamayka poston (Angola/South Africa), Wageble (Senegal), SM95 (Nigeria/Spain), 2Ban (Uganda/UK), Metaphysics (Zimbabwe), Amu (South Africa), Bideew Bou Bess (Senegal), Phat Family (Tanzania/South Africa/USA), J Bux (South Africa), Positive Black Soul (Senegal), Black Noise (South Africa), JJC (Nigeria/UK) and some compilations. Although we made the first Pan African Hip Hop mixtape in 1995 featuring tracks from all over the continent (named 'Rumba-Kali', we took our original website's name from there), we have still not had the opportunity to release a full-scale compilation. As yet there are no internationally released compilations available with a cross-continent selection of hip hop tunes, though the Africa Raps compilation on German label <a href="http://www.trikont.de" target=_blank>Trikont is a step in the right direction with 3 countries represented. First up is the Rough Guide to African Rap, to be released under the <a href="http://www.roughguides.com/music/" target=_blank>Rough Guides imprint which is known not only for their well researched music compilations but also from a range of travel and music guides. The cd will be on sale worldwide at both music and book stores. For the Rough Guide to African Rap, publisher World Music Network worked closely with Africanhiphop.com in picking tunes and tracking some of the artists and even lost masters. For now we will keep you guessing at the exact track list but this cd is a sure banger which will do a lot towards creating a market for African hip hop abroad. The compilation will be in stores from February 2004, peep our site for more details soon. 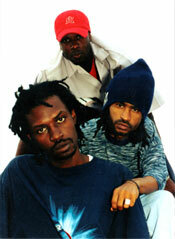 African emcees are also making their way onto international hip hop and world music compilations. Appearing in February on the UK based <a href="http://www.unionsquaremusic.co.uk/manteca_home.php" target=_blank>Manteca label is 'Global hip hop' with a decent selection of African tracks by PBS (Senegal), Yeli Fuzzo (Mali), JJC (Nigeria), X Plastaz (Tanzania) and 113 (France) featuring Malinese griot singer Oumou Sangare. An interesting new player is the label <a href="http://www.nomadicwax.com" target=_blank>Nomadic Wax. Owned by producer Nomad (real name Ben) who first got into African hiphop when doing research in Dakar (Senegal), the venture will put out compilations of recordings made by Nomad on his portable studio. 'African Underground Series Vol 1' will feature BMG44, the late Las MC, Abass, Yat-Fu, Slam Revolution, Shiffai and others. Nomad has 50 more tracks ready so the African Underground will probably keep on spitting out albums. Other Nomadic plans are a monthly African Hip-Hop showcase in New York. If you are an African emcee around the States you can get in touch and be featured in a showcase. Contact: Ben Herson / Nomadic Wax, 486 Jefferson Ave, Brooklyn, NY 11221, USA, tel. (001) - 917 225 8472. There's also a number of independent compilations on the way. Websites <a href="http://www.AfricasGateway.com" target=_blank>AfricasGateway.com and <a href="http://www.Nairobicity.net" target=_blank>Nairobicity.net both have plans with the latter dropping the cd 'Mtaa volume II' in December this year. Even on Soulseek (a P2P file sharing program) there are some people who had compiled African hip hop compilations using tracks from existing compilations and even mp3's downloaded from Africanhiphop.com. Jay Rutledge, compiler of Africa Raps, the critically acclaimed collection of West-African rap tracks, has started his own label <a href="http://www.outhere.de" target=_blank>Out|Here records. Besides releases of rap groups Alif (Senegal) and X Plastaz (Tanzania), he will also put out compilations and other non-hip hop music. Soon more to be heard! Then for 2004 there are at least three more projects on the way but we will tell you more when the time is right. One suggestion to compilers: mail us when you plan to release something because we have a huge archive of good tracks and albums that deserve to be heard outside of the countries where they were produced. While we're in the middle of a series of articles straight from Lagos filling in some blanks about hip hop in Nigeria, the duo Krazee Kulture sent in their biography. Together for more than ten years, they have moved from playing all styles of music at Lagos bars to doing their current mixture of rap, r&b and dancehall while remaining loyal to music styles with a history such as Juju, Fuji and Afrobeat. Your info on this website? There are more (Nigerian and other) groups that have contacted us, asking how to put up their info on the site. While our correspondents would probably be interested to interview you, they are sometimes too busy to handle all requests. The quickest way to get your info up is to send us a biography, group history or something similar. If it's well written we can put it up without much delay. Also see our FAQ section for addresses, guidelines etcetera. In the last couple of months there has been a dearth of good quality Nigerian R&B joints. Before now the reputation of the genre has been kept intact by acts like Paul "Play" Dairo, Plantashun Boiz, Mr. Kool, Slam and a few other decent performers. But for some time now everything on the scene has sounded kind of stale, no thanks to the motley of Plantashun Boiz wannabes and a host of industry jobbers. Just when the fortunes of the genre seemed to be on the decline a bright star is shining through. If you are around the western Cape in South Africa this weekend (unfortunately not all of us can make it there!) you shouldn't miss the last days of the Fire on the Mountain hip hop and street art festival. On 27 and 28 September, groups like Lions of Zion, Ghetto Muffin, Chronic Clan and the infamous Parliament will perform at the Jim Fouche camp site in Franschhoek. One of the most interesting African hip hop releases on the international market over the past year has been Konkerants, the first cd by Senegalese hip hop veterans Pee Froiss which came out in early 2003. As the group had been putting out tapes in Senegal since the mid-90's, it was about time the music became available abroad. The presence of the Konkerants album and the international concert tour of Pee Froiss provided a good occasion for us to dig up two interviews we did over the past year in France and Senegal. The Africanhiphop.com web team keeps on bumping into the group on different occasions. This started in 1999 when we interviewed Xuman for the first time in Dakar at the time of their third cassette release named Ah Simm (the realaudio interview was up at our site until last year). Then, when Xuman came to finalize the cd in Paris last year, we met again and sat down with him in a lengthy discussion about his music, lyrics and his impact on Senegalese youth. Shortly after that, our Dakar correspondent met all three group members for a second interview. Finally in July 2003 the group was on a European tour of which we saw two concerts in Belgium, during which the trio presented an hour-plus show fusing rap, r&b and roots reggae, which was energetic to the effect that the crowd ended up dancing on stage with Pee Froiss. 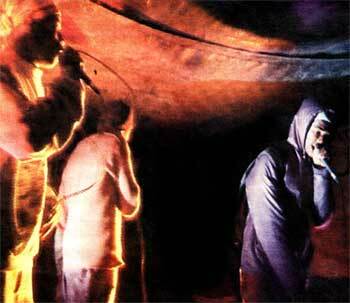 Hip hop culture has had a foothold in Nigeria for about two decades. In our crates we have a breakdance record from Nigeria from the mid-eighties! But as in most other countries around the world, the popularity of breakdance faded quickly and the emcees that were putting out albums in the mid 90's were of a next generation. In this new millennium, hip hop in Nigeria is quite big, with most popular groups selling a lot of albums and attracting large crowds to their concerts. 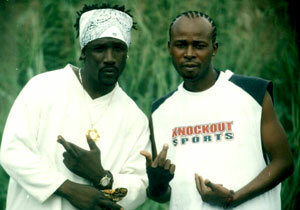 However, what the Nigerian hip hop landscape looks like remained a bit of unsolved mistery to us who never visited the country, with only a few websites giving updates on groups like Trybesmen, Plantashun Boyz and emcees based abroad like Cashino, Bantu, Magnum and JJC who have their own websites. Fortunately a Lagos based journalist has joined our web team. From now on, Harry Okoh will supply Africanhiphop.com with regular interviews and news updates. Harry is a university student who's contributing to the weekly entertainment program at Rhythm 93.7 FM, and he's following the local hip hop scene from the inside. The first interview is with Ruggedman, a man who's been creating a stir among Nigerian rappers with his track 'Ehen' which he claims has changed things for the better within the Nigerian hip hop scene.